from 2016) the show has built a lar ge audience and also already appeared in other media like Comics. 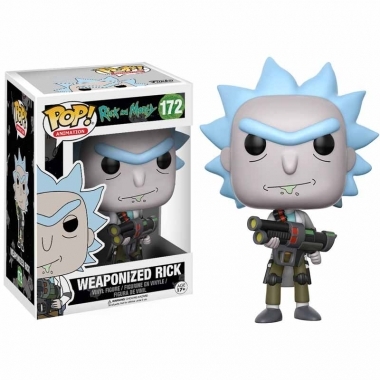 The Weaponized Rick POP! vinyl figure stands around 10cm tall. POP! vinyl has been the collector’s sensation of the last few years.